The kitchen belongs to Cameron Diaz and is on Manhattan, New York. It is soo American in style, with these classic style wooden cabinets. 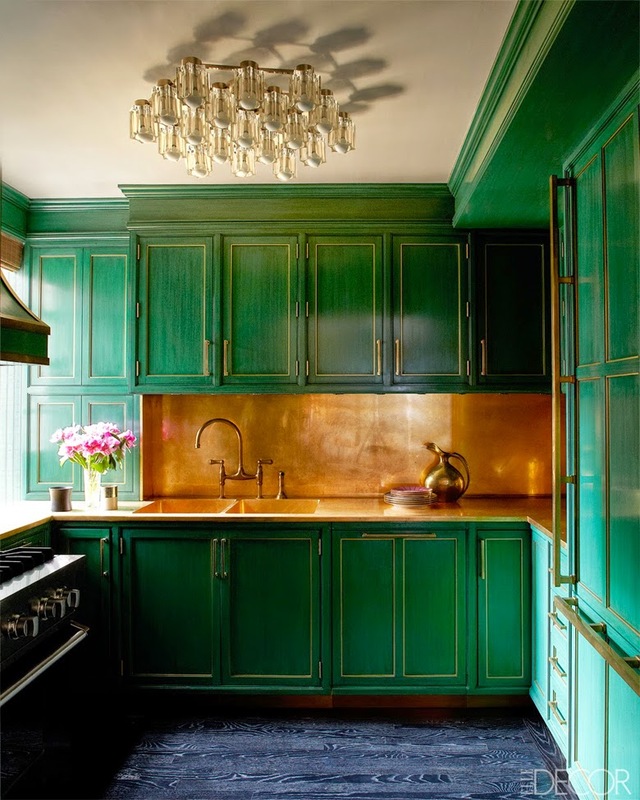 The brass counter top is just beautiful. I Love this! Gorgeous!! These classic style wooden cabinets and the lights look excellent. I really impressed. Thanks for the post here.